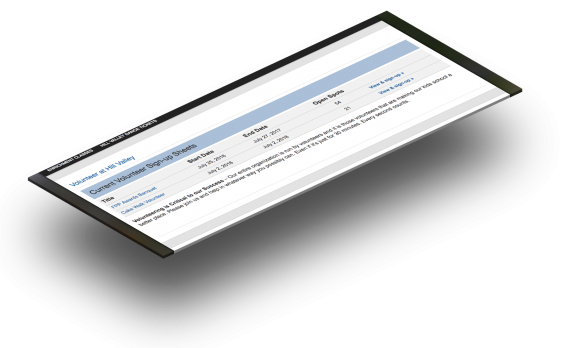 Home » General News » New Volunteer Sign Up Sheets Feature Built Into Premium Plus Plans! Every summer we try to release a few new features and this summer we are releasing a huge one, Volunteer Sign Up Sheets! We’ve listened to our members and Volunteer Sign Up sheets are always toward the top of everyones dream list. Starting today, Premium Plus Plan Members will have full access to this new Beta feature. 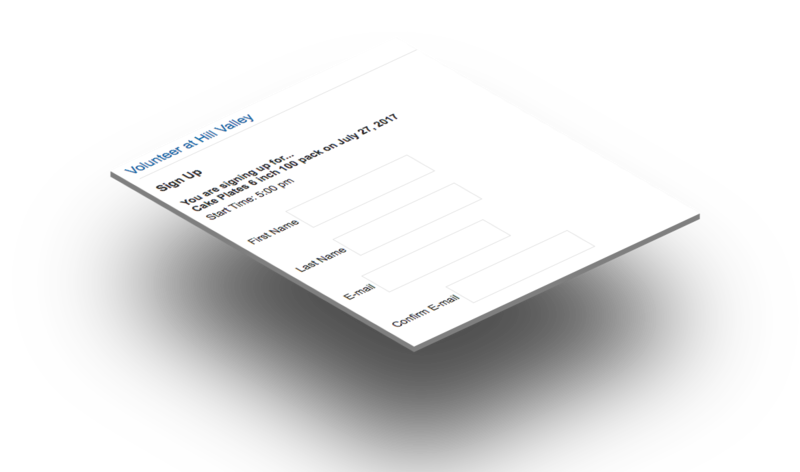 Our volunteer sign up sheets function similar to the ever popular Sign Up Genius and Volunteer Spot sign up sheets, and we took out some of the more complicated features to make this an easy to use, simple volunteer sign up sheet feature. 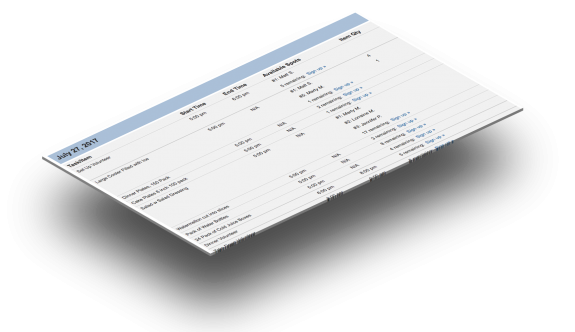 You can create unlimited sign up sheets and assign quantities to items/tasks as well as allow for user input (i.e. Cookie Flavor they are bringing), you will be able to see the entire sign up list as the admin and add or remove people as needed. 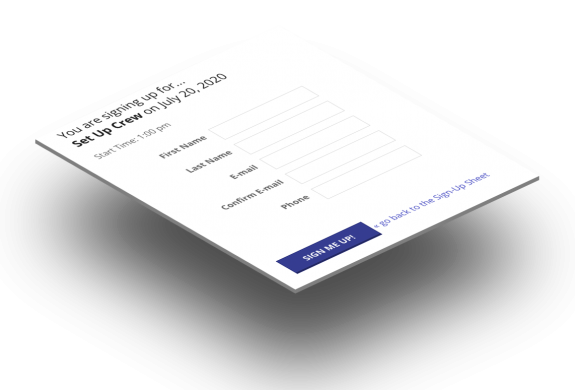 User can sign up for one or multiple tasks/items and will receive email confirmations and reminders if you would like them to. The Volunteer Sign Up Sheets will work on all of our themes, but we have optimized the feature for both the Graphene 2.0 and the Brix theme for best performance. Please be aware that this is a BETA product. There may be glitches as we test this feature with our general community. Additionally, please note that this is not a volunteer manager (Tracking hours, contact database, etc) – this is a robust system to help facilitate volunteer sign up/task lists and it does a great job at that. 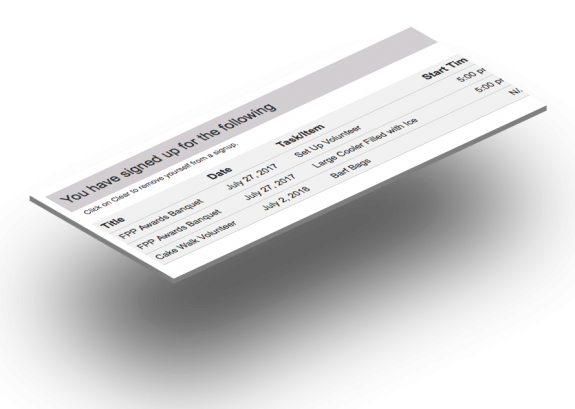 We hope you enjoy the new Volunteer Sign Up Sheet Plugin from Digital PTO! Now that we have almost completed testing on our ecommerce stores, it’s time to start work on the next major release! Any Votes? Let us know! 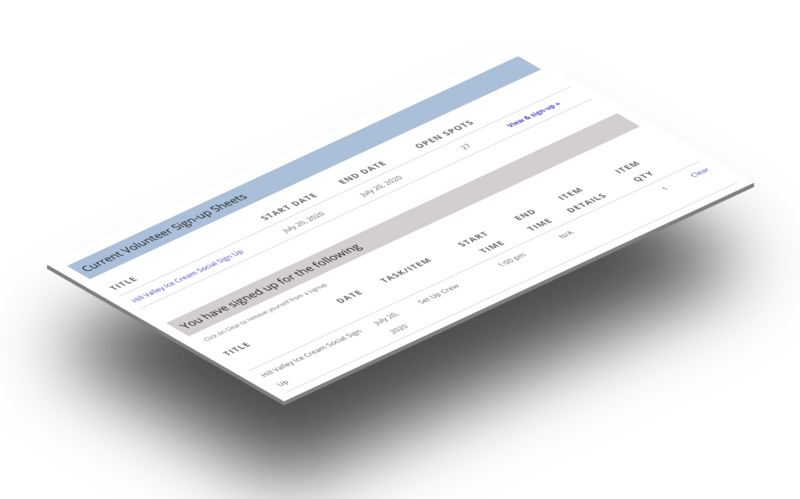 Comments Off on New Volunteer Sign Up Sheets Feature Built Into Premium Plus Plans! «eCommerce is Coming. Want to Test it out?